With just over one week left until Christmas, there’s still too much to do but with so little time! I’m sure many of you will be traveling to get home for the holiday, and with work and other social engagements happening it doesn’t leave much (if any time) to get out and shop. 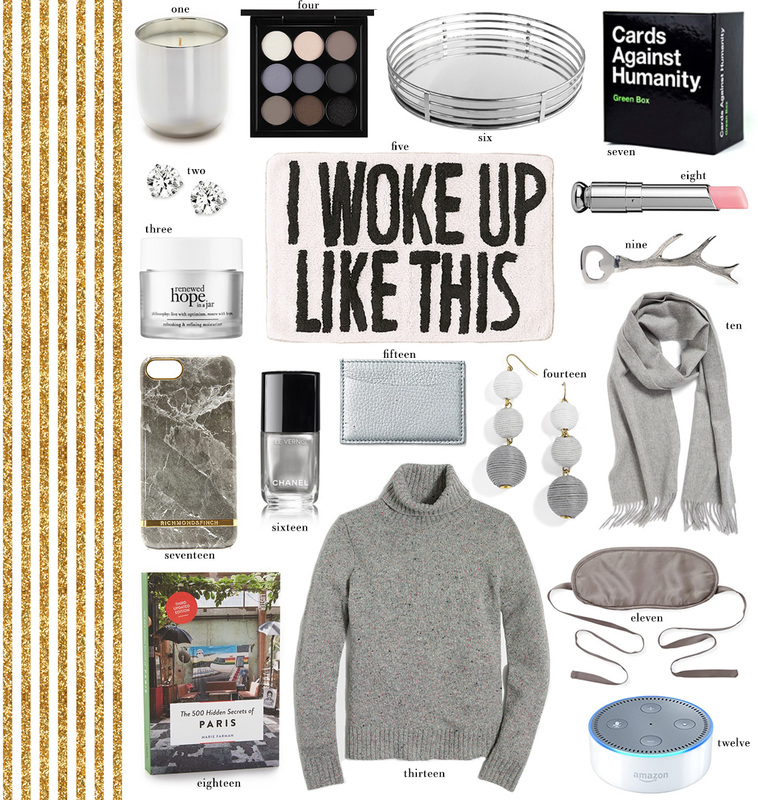 Here’s a great roundup of last minute gift ideas for under $50! Ship them home so you don’t have to worry about packing them, and don’t forget to check the box for free gift wrapping! Many of these would make excellent stocking stuffers, or at the very least, a fabulous White Elephant gift exchange option. Do any of y’all follow this Instagram account? If so, you may have seen they launched a new game called What Do You Meme?. The concept is similar to Cards Against Humanity (a favorite card/party game of mine) – one set of cards features a photo, and the second set of cards features different phrases. The goal of the game is to choose the best saying to create the ultimate meme! If you have some millenials in your family, this gift will be a surefire winner. Trust me!! I bought one for a White Elephant gift exchange, and one for myself. If all else fails, there’s always Cards Against Humanity! Who doesn’t love a cute and cozy pair of Christmas socks? If you’ve got a shutterbug in your friend group or family, this set of mobile lenses is under $30 and a really useful way to get the most out of your smart phone camera. It contains a fish-eye lens, a wide-angle lens, a macro lens and a universal clip to attach each of the options! Such a cool gift for the Instagram-obsessed. Beauty gifts are always easy to give because you don’t need to know anyone’s size, they’re typically inexpensive, and they are actually useful! This Stay All Day Liquid Lipstick Set will make any beauty addict happy. For the gal who’s always in the know about new health trends, this Moon Juice Sachet Sampler will let her test out all of Amanda Chantal Bacon’s miracle powders (aka herbal supplements). If it’s Gwyneth and goop-approved, it’s gotta do something right, right? How is it Christmas already?? Great ideas as always, Merritt! I’ve heard Renewed Hope in a Jar is everything!! I’m wearing the Baublebar earrings today! Love them! 5 and 14 are my favourites.